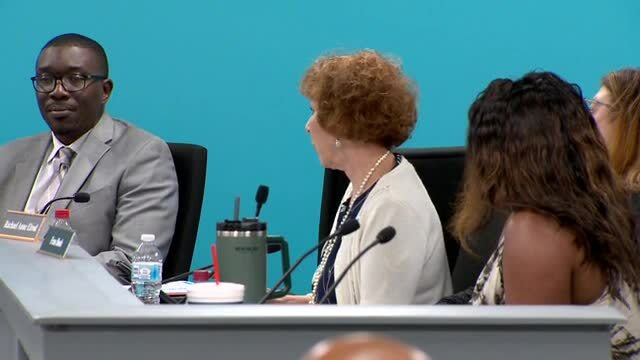 NASHVILLE, Tenn. (WTVF) — A former Metro director of schools is speaking out about efforts to drag his name into the controversy surrounding current director Dr. Shawn Joseph's use of a school bus driver to chauffeur him around town. Some of Joseph's supporters have defended his practice, claiming that his predecessor, Dr. Jesse Register, also utilized a driver. It was a notion that Joseph himself pushed during a September 2018 school board meeting. "It's a practice that has been employed for a while," Joseph told the board. "We've always had someone driving the director, whether it was somebody in the office. I just prefer to have somebody who actually drives to do that." "As you know, my preference when being asked about past practice and comparisons is to not comment. However, I will give you short specific responses to your questions for clarification of some misconceptions about my practice. "First, about use of the leased vehicle. My contract as well as previous contracts with my predecessors was unlimited use of the vehicle, and I assume the same for Dr. Joseph. It was specified in the contract that I originally signed and the practice was discussed and agreed upon with then Chair David Fox. "I did not use a driver. I always drove myself. I did have a GPS with all schools in it so that I could get from school to school efficiently. My vehicle was picked up each Monday morning at Bransford for routine service by transportation and then returned to the office. I generally held a staff meeting at Bransford on Monday mornings. On occasion when I had to drive on Monday mornings, the service would be re-scheduled. I have tried to recall a time when I needed to use a driver and honestly can not remember a time. On occasion, when I was attending a meeting with others from the central office, I would ride with someone else. More often than not, I would drive and others would ride with me. "When I traveled, I routinely drove to the airport and had transportation pick up the car, do routine maintenance and keep it at the garage to avoid parking fees and for security of the vehicle. The routine was to park in short term and they would pick it up shortly after with no parking fees. They would drop the car in the short term parking just before my return flights. It worked very well. It was efficient for my time and actually saved money for parking fees. Scheduling for this type of travel was scheduled in advance for efficiency."